Let’s face it; we are all in a better mood in summer. How can we be anything but blissful when the summer warmth kicks in after a cold and gloomy winter! Summer brings a bevy of opportunities to dust off the outdoor furniture and crank up the BBQ. The one downside has to be the flies and mozzies that are also keen to join in the fun. Fly screens are a must throughout the house, to let the summer breeze sweep through, without the need to run around with a fly swat. 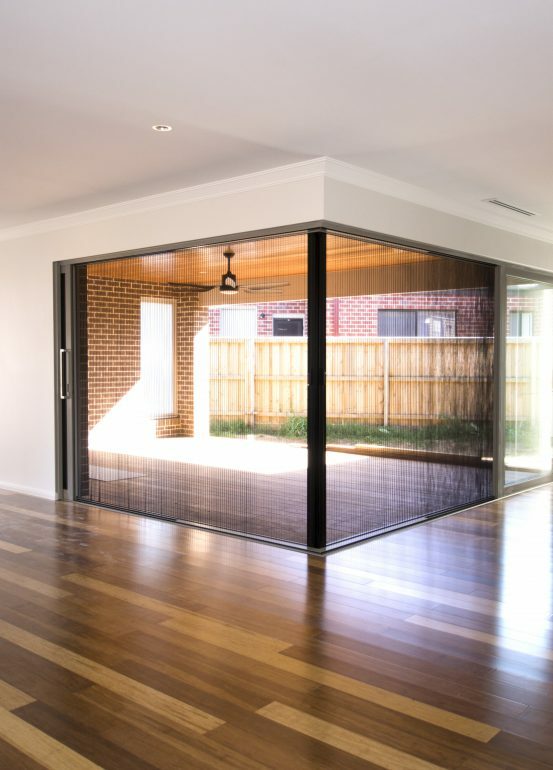 Alfresco areas however, are a tricky one when it comes to screening, as traditional screen doors can often detract from designs that seek to integrate inside and out. A&L’s Boutique Sliding Doors present the option of a premium Retractable Screen – the perfect solution for discrete screening. The best part is when you don’t need the screen, the Retractable design allows it to be pushed back against the door frame, so that it is barely noticeable! If you’re interested in this summer solution for your home, don’t hesitate to get in touch with us today.